Ms. Lin has prior experience in law, consulting, and start-ups. Throughout the year, she volunteers for Harvard’s Small Claims Advisory Service, providing individuals with critical information on Massachusetts law and small claims procedure. Previously, Ms. Lin worked at a consulting firm that focuses on real estate, coordinating particularly with New York City clients in the restaurant and hospitality industry. Ms. Lin also served as a community manager for a civic-technology start-up based at the Harvard Innovation Lab, and was responsible for engaging with a variety of community stakeholders and government officials. Due to the size and the needs of the team, Ms. Lin worked in a variety of positions, including copyediting, legal research and marketing, among others. As a result of her positive experience at the start-up, Ms. Lin joined a not-for-profit organization focused on tackling political corruption as a community organizer and a data analyst. 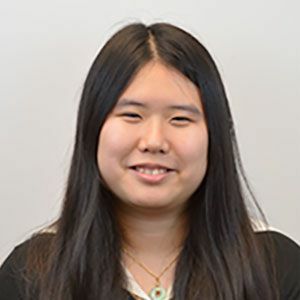 Ms. Lin is currently writing a thesis that focuses on the effects of the United States Immigration Reform and Control Act of 1986 on the decision making of migrants from China.